The number of vehicles in big cities is growing day by day, so it is not uncommon that many transportation companies are eager to improve their logistics to reduce costs. Such an approach is very effective for any companies, from the biggest corporations to small entities. In this case, different modern technologies may help. For example, each contemporary cell phone is equipped with an embedded GPS-locator; therefore, it is very easy to track a certain location of this phone or a vehicle, and this opportunity can be used to improve logistics. It is now possible to define a vehicle’s location with the help of two simple devices – a cell phone or a special vehicle locator. In the first case, all you should do is to download and install a tracking app for your smartphone. 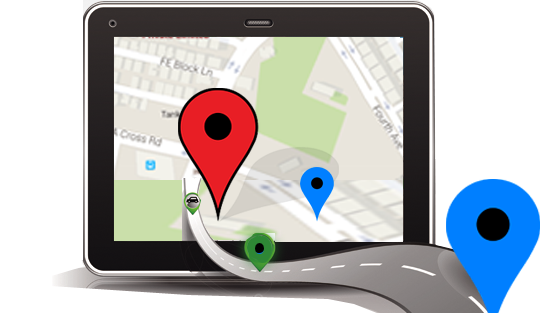 Then, if your cell phone is in a vehicle, one may see your tracked location. In the second case, you need a special device – a locator. It can be a little bit better because it may show a vehicle’s current condition while it is synced with vehicle’s sensors. If you are interested in driver tracking app, the Uboro app is the best choice for you. First, the app is compatible with both smartphones and vehicle trackers. Therefore, if you still don’t have a tracker, there is no necessity to buy one. Furthermore, if you have a tracker, Uboro helps you to learn more information about the vehicle. a simple procedure of registration. All these benefits mean that Uboro is definitely worth trying. Although the first version of the Uboro app was created for the Android operating system and is available online, the version for iOS is coming soon. Therefore, even iPhones’ owners will have a chance to evaluate this app in the near future. All in all, you can improve logistics with the help of tracking apps and devices because, in this case, you will see the current traffic situation and know how to correct a particular route.